Homestead helps small businesses establish their presence on the Web, maintain and promote their site, and sell or market their products and services—all without mastering programming or design. 1) Start from scratch, or use any of their easy to customize website templates in 100 business categories as a starting point. 2) Unlike generic templates found elsewhere, each of their templates is a complete, working website designed by professionals for a specific business type. 3) Edit the text right on the page, or replace it by writing or pasting in your own. Add your own images, or use any from their library of over 1.1 million high–quality photos for free. 5)Raise your profile with important search sites like Google Maps, Yahoo! Local and Bing Maps. Make sure customers find you when they search for what you offer. 6) Our tools are so easy to use you may never need help, but if you do we've got you covered. 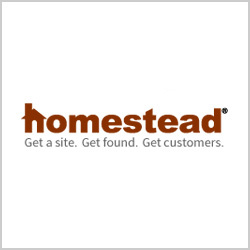 HomeStead offer their customers hundreds of design templates to choose from, as well as integrated e-commerce capabilities, inclusion in online Business Directories, and Web Listings. From their Site Builder software to their e-commerce solutions and world-class support, they help small businesses achieve success online. Support for Homestead. If you need help with one of their website services, please give a call at 1-800-710-1998. Homestead was providing good service initially but now it has become worst. Whenever I tried calling their support team I'm not getting a proper response from them. And even no proper security for our data. Once Homestead was a good web hosting company, they had many offers. But now it has become pathetic and worst with the poor and non-responding support team. I would like to inform that not to go for Homestead. HomeStead are good in support and pricing, but that alone is not going to help in web hosting services. They are not providing good services overall. 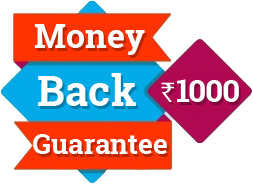 They have a very less speed compare to other web hosting services.